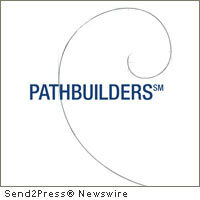 ATLANTA, Ga., March 3 (SEND2PRESS NEWSWIRE) — Pathbuilders® is pleased to introduce its distinguished panelists for the Continua® “Women of Influence – Navigating Organizations with Few Female Leaders” program on Friday, March 11. The panel will include Major General Maria Britt, Commanding General of the Georgia Army National Guard; Kris Wooton, SVP, Finance at CNN Worldwide; and Sharon James Jordon, SVP, Operations & Systems at Chartis Aerospace Insurance Services, Inc.
Continua is designed for women who have graduated from one of Pathbuilders’ external mentoring programs. Through Continua, graduates benefit from exposure to leading-edge business practices and speakers, access to a diverse network of business professionals and the opportunity to share experiences with peers. According to studies by the U.S. Departments of Education and Labor, 58 percent of all bachelor degrees earned in the United States are awarded to women, and 50 percent of management and professional roles are held by women. In spite of this progress, females represent only three percent of CEOs and 15 percent of board directors at Fortune 500 firms. Women hold 14 percent of senior executive positions and eight percent are top earners in their companies. These numbers have remained largely unchanged for several years. Join Pathbuilders as we bring together seasoned executives who will share their experiences and insights as female leaders in male dominated industries and organizations. They will discuss their career paths, keys to success, and lessons learned as they beat the odds. When: Friday, March 11, 2011 (7:30am – 9:30am). RSVP on or before March 7, 2011. The cost to attend is $30 and guests may register for this event at www.pathbuilders.com . Pathbuilders partners with Fortune-ranked organizations to develop high-performing individuals through mentoring, executive development programs and consulting. Through highly-customized talent management offerings, Pathbuilders accelerates the career growth of individuals and directly contributes to bottom line success of client organizations. Pathbuilders was founded in 1995 with a unique focus on developing the potential of high-performing women and creating gender-diverse organizations. Today, Pathbuilders leverages the corporate experience of its leadership team to develop impactful developmental experiences for high-potential men and women in forward thinking organizations. Pathbuilders has worked with more than 3,000 professionals from more than 300 client organizations, including Fortune 500 companies, college and universities, and government agencies. News issued by: Pathbuilders, Inc. Original Keywords: Continua, Women of Influence – Navigating Organizations with Few Female Leaders, mentoring, executive development programs and consulting, Major General Maria Britt, Kris Wooton, Sharon James Jordon, Georgia business news, Atlanta events Pathbuilders, Inc. Atlanta Georgia ATLANTA, Ga.
RSS News Feed for Pathbuilders Inc.
REFERENCES: Business News, Continua, Women of Influence - Navigating Organizations with Few Female Leaders, mentoring, executive development programs and consulting, Major General Maria Britt, Kris Wooton, Sharon James Jordon, Georgia business news, Atlanta events Pathbuilders, Inc. Atlanta Georgia ATLANTA, Ga.